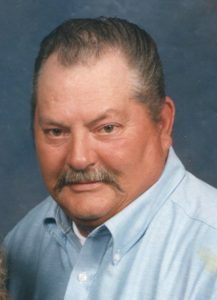 Four Oaks, NC: Mr. Roger D. Allen, age 71 of 4940 Devil’s Racetrack Rd. died Wednesday at his residence. Funeral Services will be 3:00PM Saturday April 28, 2018 at Rose & Graham Funeral Chapel in Four Oaks. Rev. Marshall Stewart will officiate. Burial will follow in Bethel OFWB Church Cemetery, Four Oaks. Mr. Allen was born in Johnston County on January 29, 1947 to John Lewis and Mae Belle Lee Allen. He was preceded in death by his son, Randy Lee Allen and a brothers, Richard E. Allen and Thomas G. Allen. Mr. Allen worked as a residential painter. Surviving include his wife of 54 years, Cynthia R. Allen; his children; son and daughter-in-law, Roger and Katrina Allen of Four Oaks; son, Robert Allen of Four Oaks; son and daughter-in-law, Rudy and Crystal Allen of Benson; son, Alfred Allen of Four Oaks; son and daughter-in-law, Ray and Amy Allen of Four Oaks; and son and daughter-in-law, Roy and Melanie Allen of Four Oaks; brother and sister-in-law, John R. and Gladys Allen of Four Oaks; seventeen grandchildren and five great-grandchildren; several nieces and nephews. The family will receive friends 6:00 to 8:00PM Friday at Rose & Graham Funeral Home in Four Oaks and other times at the home.